Alex Griffith drove for hours Wednesday to wait outside Cy+ in Wintersville, Ohio, where he and other patients could legally purchase medical marijuana for the first time within state lines. For many of them, the once-banned substance represented a chance at recovery from conditions that seemed difficult or impossible to treat before. First-day sales moved 8.7 pounds of marijuana and generated $75,000 in revenue, the Ohio Medical Marijuana Control Program announced Thursday in a news release. Griffith is a veteran who said he grew frustrated with the side effects of other treatments for post-traumatic stress disorder. “It’s like, ‘Do I want to take them and deal with the bad side effects and feel like a zombie? Feel like I’m walking through mud the whole next day?’” he said. 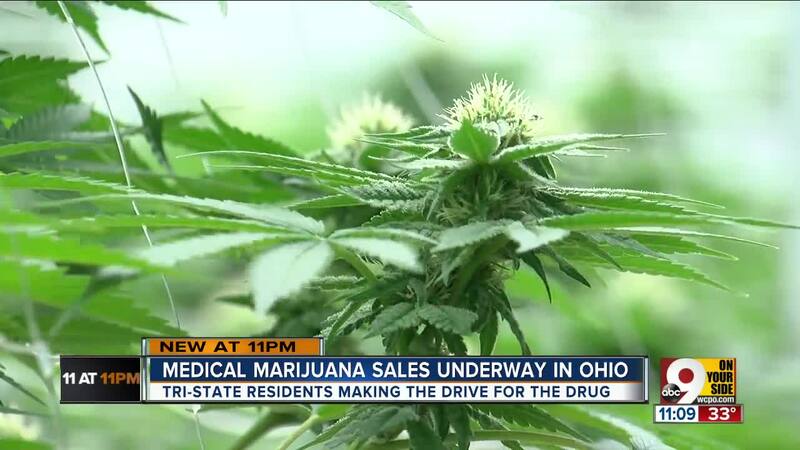 He had hoped to be able to buy medical marijuana Sept. 8, 2018, when Ohio’s program was originally scheduled to begin. Hiccups in the certification and cultivation processes forced that opening date back to Wednesday. That wait was painful for Jason Watson, a Cincinnati man who said he had also struggled with medication meant to treat PTSD and considered marijuana a less destabilizing alternative. He wasn’t alone. Dr. Timothy Thress, who can recommend patients to receive prescriptions for medical marijuana, said he spent the months of delay watching patients deal with the physical and mental consequences of lacking access to a form of treatment. “They’re dealing with a lot of pain, and they’re suffering,” he said. Another Botanist location will open at 30133 Euclid Ave. in Wickliffe at an unspecified later date.